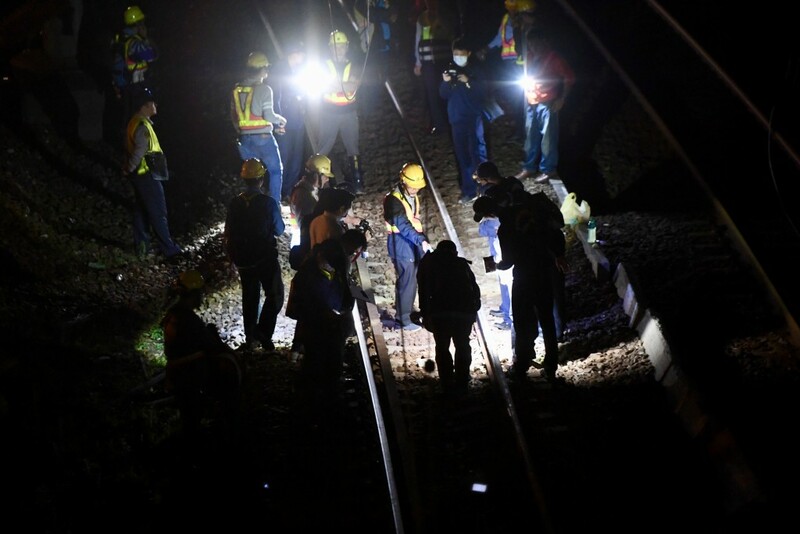 TAIPEI (Taiwan News) — 18 people have been killed, 6 remain missing, and at least 168 others were injured in a fatal train derailment in Yilan County, northeastern Taiwan, Sunday afternoon, with one injured passenger being an American citizen. The Puyuma express train, headed for Taitung (台東), had a total of 366 passengers onboard when it came off the tracks close to the Xinma Station in Su'ao (蘇澳鎭) at 4:50 p.m. on Oct. 21, according to Taiwan Railways Administration (TRA). The eight-carriage train came off the tracks, and five of them were completely overturned, causing 18 dead and 168 injured, 10 of whom are in serious condition at the time of publication. Yilan County Fire Bureau initially announced that there are no foreign passengers among those dead or injured. However, one of them was later identified by the Ministry of Foreign Affairs as a 43-year-old U.S. citizen, a female who was admitted to St. Mary's Hospital Luodong. The injured have been sent to various hospitals throughout the area. 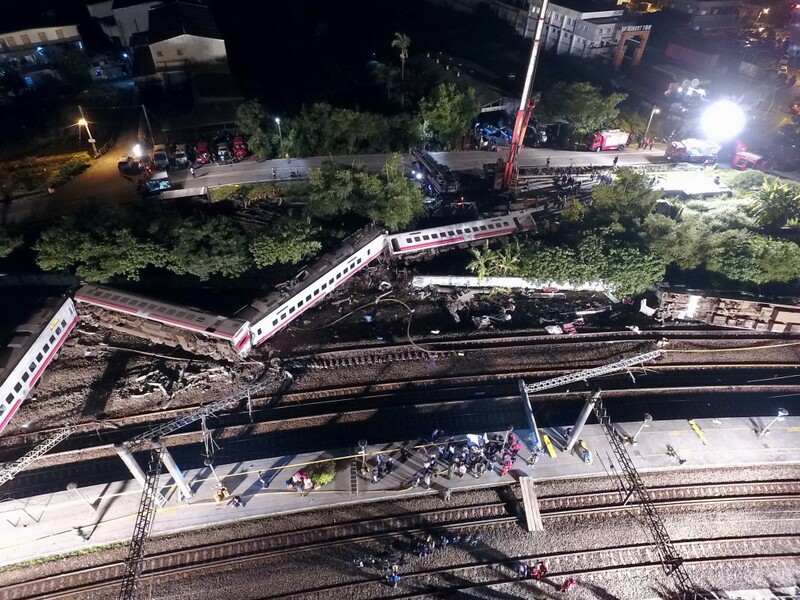 Apple Daily reported that the accident took place on a curve in the track, while the Automatic Train Protection System had been disabled prior to departure due to a malfunction, and that could have contributed to derailing the train, permitting it to go too fast for the curve, according to people familiar with the matter. The system is designed to enforce adherence to a commanded speed pattern and to prevent accidents. TRA emphasized the cause is still under investigation.